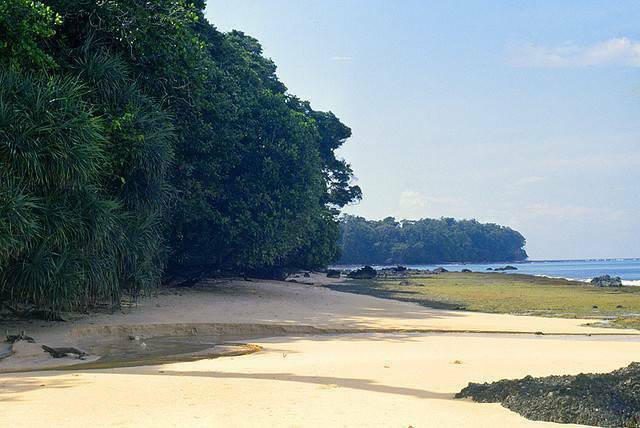 Located closely to Great Andaman Archipelago, Rutland Island is separated from Little Andaman by Duncan passage. Spreaded across 109 square kilometers with nearly 60 km shore spanning alongside. The beach in this island is shallow and current is little rough. The island also serves as a base for open water divers training. On one side you can see the hillocks with fair jungle and brush. Dani Nallah, Jahaji beach, Bada Balu, Manner Strait and Photo Nallah etc are few attractive tourists spots in Rutland Island. Just a day trip is fine as no accomodation and electricity even is available till date and only eco tent huts are available that too very costly. Rutland can be approached from Chidyatapu on the way to Cinque island or from Manjery on the way to Wandoor. Mostly the former route is preferrable.